Kismet Jardin is the recipient of the 2014 IAIR global award for innovation and sustainability in the beauty and health category. 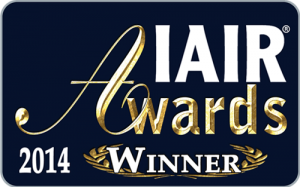 The IAIR AWARDS gives recognition to those organizations and those leaders who want to make positive difference in the lives of their customers and the community –and reap the financial benefits of doing so. 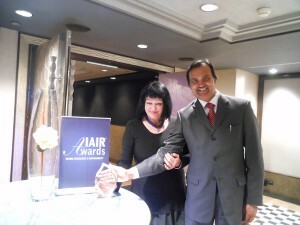 IAIR GROUP / IAIR AWARDS is a research institute and a global independent publishing house headquartered in Milan, Italy. The award ceremony was held at Sheraton Towers, Hong Kong. ‘The Eco-sustainable Beauty of Green Luxury’ by Claudia Chiari. ‘The Excellence Magazine’, International Magazine for Excellent Business and Lifestyle, published in Switzerland. http://www.theexcellencemagazine.com/excellence-collection/ Volume 6, page 47-50. ‘French Flair’ by Roxanne Allan in the Adelaide Matters. 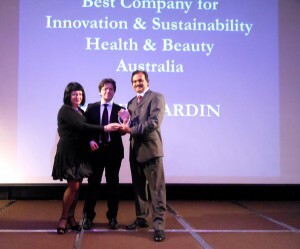 Australian green cosmetic company Kismet Jardin has won IAIR global award for innovation and sustainability in the beauty & health category Australia.